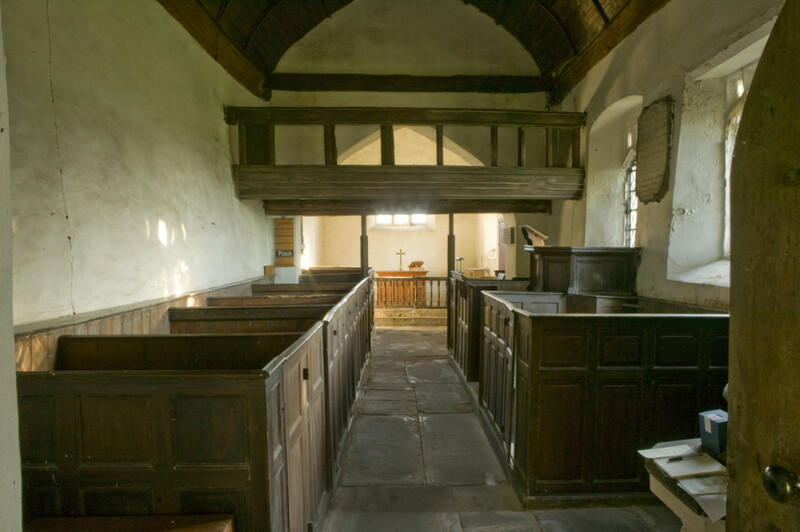 The font is another, very simple, medieval survival but the pewing and pulpit and indeed the larger squire’s pew in the chancel are all eighteenth century. There are a range of monuments the largest being to William Jones who died in 1829. The altar rails in twisted baluster date from circa 1700. The churchyard remains the responsibility of the parish. As you walk around the building note how the north side of the nave is completely windowless, setting its face against the harsh weather.